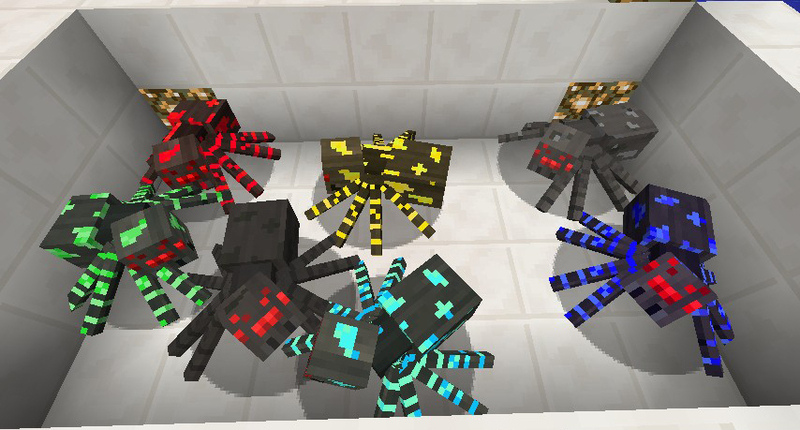 This Mod adds some Spiders with abilities in your Minecraft. There are 10 different types of Spiders. This Mod requires Forge.